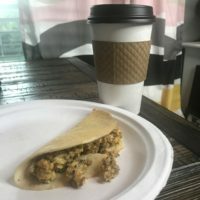 This KETO crepes recipe with sausage, egg and cheese is so super easy that I actually make it and eat several times thru-out the week. I love it and hope you will too. Let’s talk on the go breakfast. Here’s the deal. Our house has 6 people. I am the only one on KETO so my low carb meals need to feed more than just me. Ideally, I would prefer if everyone liked the meal. Another bonus is if the meal can be made in bulk and eaten thru-out the week. 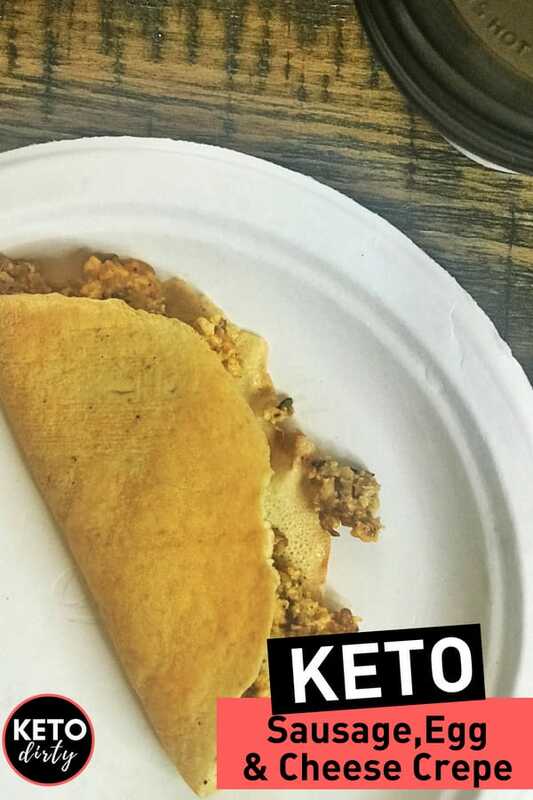 This is what makes this easy KETO Crepes with Sausage Egg and Cheese filling recipe SO GOOD. I make it in bulk – the kids and husband can eat it and it stores well. I have kept it in the fridge for up to 4 days. The truth of the matter is, the biggest problem – the kids love it so much I have to hide it or I’ll be lucky to make it to day 2. These are the storage container I use for saving all of my leftovers. While I am doing KETO dirty – I know that some of you may be low carbing – this recipe is totally low carb. I mean, sausage, egg and cheese? HELLO. Isn’t that what low carb (and KETO) dreams are made of? I do have one HACK that you need to know about in regards to KETOing and making these crepes. I use Crepinis. These will be a GOD SEND for your KETO diet. They take just a few seconds to heat up, are 4 carbs (with 4 grams of protein!) and are the most delicious thing for all kinds of KETO meals. We will be using these often and are a staple for our grocery list each week. They are made out of egg whites – but I am telling you I DO NOT LIKE egg whites, they do NOT taste like egg whites. Enough of the chit-chat, let’s get down to cooking. 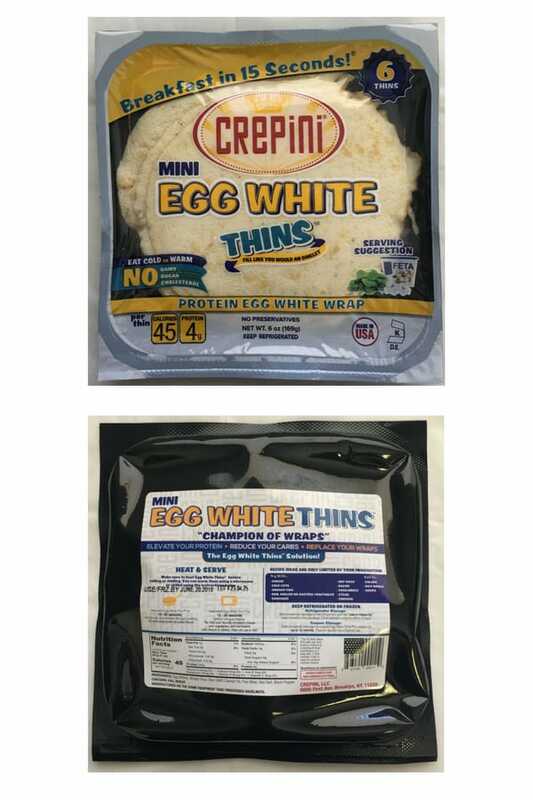 Delicious low carb and KETO friendly breakfast meal idea for on-the-go. These KETO sausage egg and cheese crepes are filling, tasty and something that whole family can eat. 1 cup Cheddar Cheese , You can use any cheese you choose. 5 Eggs, If you need to feed an army, add more eggs. I wouldn't go more than 8 with a pound of sausage. Brown your breakfast sausage to your liking. After the meat is done cooking, add in your eggs. Stir eggs into the sausage mixture. Add cheese and stir - the cheese will melt quickly! Heat a crepini up in a small fry pan. Add sausage, egg and cheese filling to the crepini. Enjoy! This delicious low-carb friendly - KETO sausage, egg and cheese crepe is definitely a KETO breakfast recipe to keep handy! 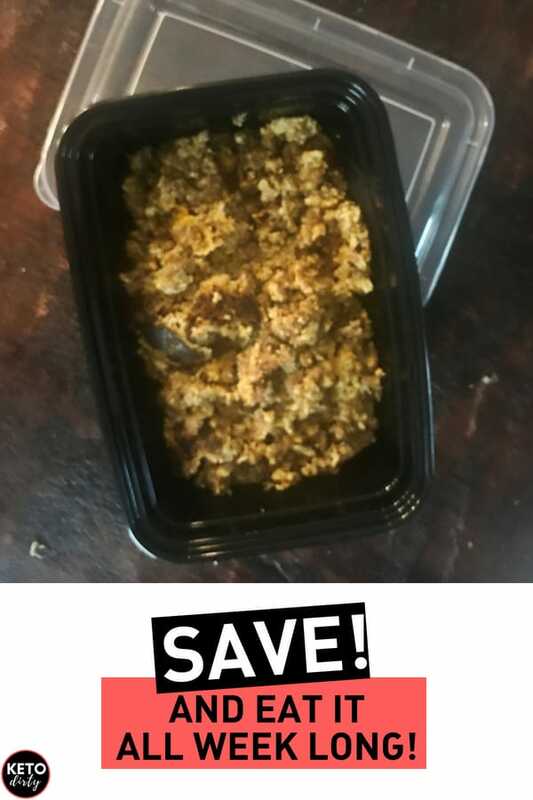 So simple to make and KETO diet friendly! Plus, don’t forget this is something that you can feed the whole family without hearing “WE EAT CARBS.” Throw them a loaf of bread, have them toast it to make sausage, egg and cheese sandwiches. This will save your crepinis 🙂 and get your kids FED. We moms gotta do what we gotta do, including taking care of ourselves. 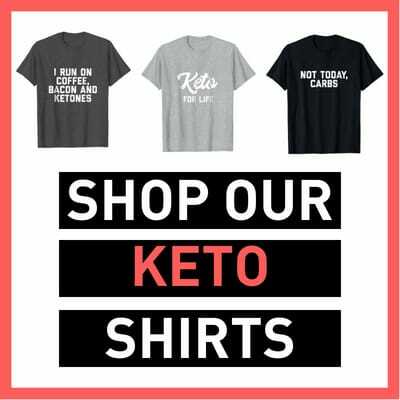 Remember – here at KETO Dirty – we do KETO our way. 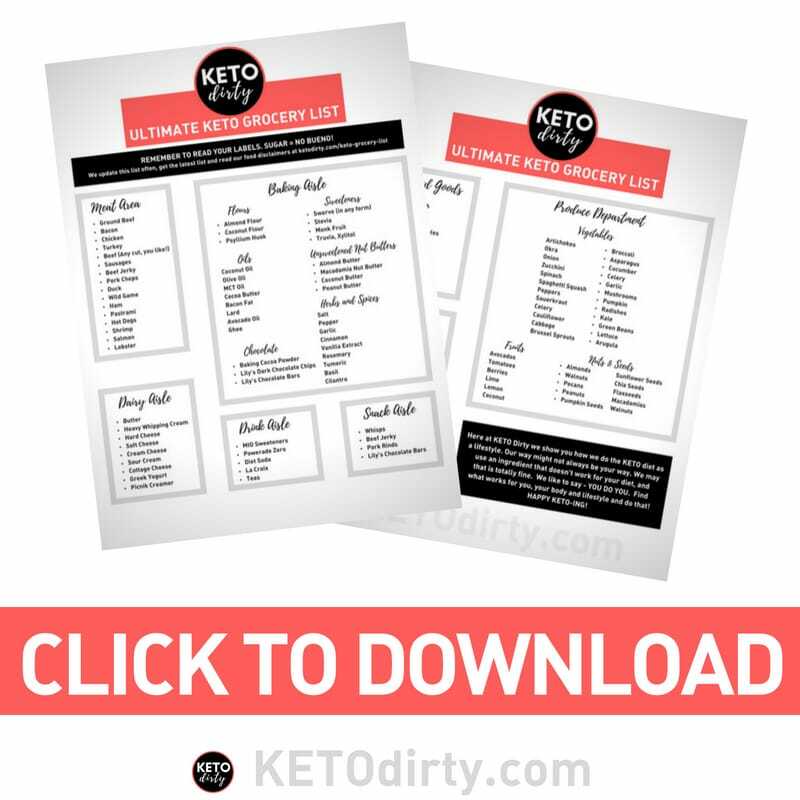 You do you and find the best KETO or low carb diet that will help you sustain this because at the end of the day – you want this to be a lifestyle, not a diet! 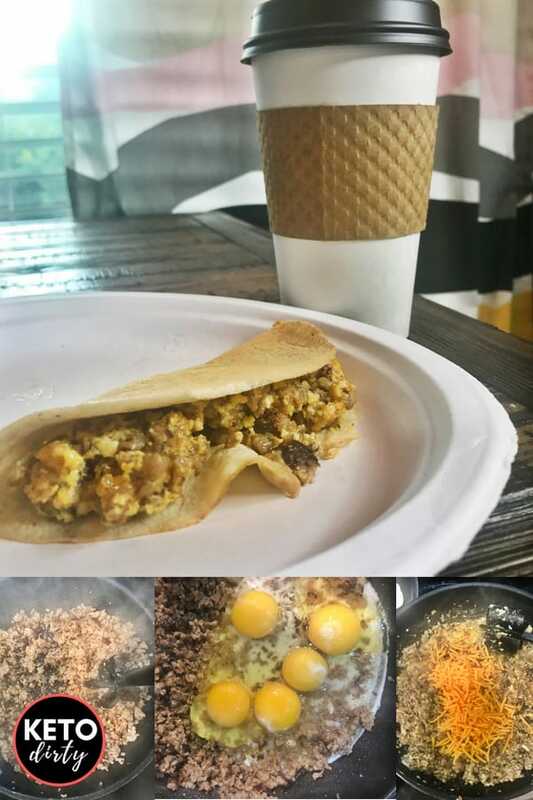 We hope you enjoyed the KETO Crepe sausage, egg and cheese recipe. It is definitely one of our faves and hope it will become one of your faves too!